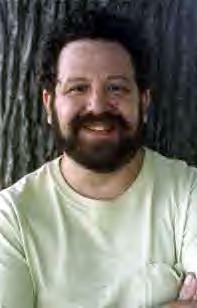 Jeff Cohen is an author and a parent of a child diagnosed with Asperger Syndrome. In an interview with LoveToKnow Kids, he offers humorous insight and practical advice for parents, teachers, and anyone who deals with kids. Well, I'm about 5'5", a little overweight, a Libra, and... that's not what you mean, is it? I'm a freelance writer and author, and I happen to have a son, now 18 years old, who has Asperger Syndrome. He'll be starting college in September. When was your son first diagnosed with Asperger Syndrome? When he was five years old, in 1995. He'd been having socialization problems with other kids since he was 18 months old, and while we knew there was something of concern, we didn't have a name for it until AS appeared in the DSM IV in 1994. It was the first time Asperger's was recognized as a legitimate diagnosis. It beat the time a psychologist told us our son would always be "eccentric." I told him we couldn't afford eccentric, we were only middle class. When I suggested the doctor talk Josh down to "neurotic," he gave me a look that indicated he understood where all the eccentricity was coming from. We beat a hasty exit from his office. What is the difference between Asperger Syndrome and autism? That's a good question. Asperger's is now considered a high-functioning form of autism, so I guess there's no difference. Autism presents such a wide spectrum of behavior that trying to classify it is virtually impossible. People with AS tend to have more difficulty in the social aspects of life, understanding non-verbal cues, body language, tone of voice, things like that. What are some typical signs that indicate a child has Asperger's? If your child, after the age of let's say two, doesn't understand language beyond the literal meaning of the words ("I'm just pulling your leg"), or if the child has unusual difficulty playing with other children, it's possible. Being uncomfortable with eye contact, having sensitivity to certain sounds, textures, an unusually picky eater, those kinds of things. An overwhelming interest in one topic, almost to the exclusion of all others. There's no definitive "litmus test;" every child is different. Some are just more different than others. How can parents make a difference in a child's success in school if he's been diagnosed with Asperger's? Get involved IMMEDIATELY. Early intervention has been shown to be key. Don't be afraid to request services from the school system even before the child is enrolled in school. Get social skills training, speech and language therapy (even though most AS children speak very well, they don't necessarily understand conversational language), and find out what your child needs to have a level playing field in school. Then push until you get everything the child needs. You have to be the advocate for your child in school--you can't assume that the teachers and the administration will know everything about Asperger's, or that they'll provide services without a request. What are some day-to-day tips you can give to parents and educators? Praise is highly underrated. Kids with AS have more things to learn than most, so there are more opportunities to celebrate when they master a new skill or concept. We had ice cream for dessert the night my son figured out sarcasm. Now, he uses it to excess. Be careful what you wish for. Reward systems are also helpful with smaller kids. For every day your child doesn't melt down at school, give him (or her) a gold star. Have the gold stars add up to a special reward the child really wants, but make sure there's some assessment every day. The child needs to know if the day has been a successful one or not. Where can we read more about your thoughts on raising a child with Asperger Syndrome? I've written two non-fiction books on the subject: THE ASPERGER PARENT: HOW TO RAISE A CHILD WITH ASPERGER SYNDROME AND MAINTAIN YOUR SENSE OF HUMOR; and GUNS A' BLAZING: HOW PARENTS OF CHILDREN ON THE AUTISM SPECTRUM AND SCHOOLS CAN WORK TOGETHER--WITHOUT A SHOT BEING FIRED. I also incorporate AS into my Aaron Tucker Mystery series, especially the novel AS DOG IS MY WITNESS, and there are subtle hints at it (which might become less subtle) in my current series, the Double Feature Mysteries, starting with SOME LIKE IT HOT-BUTTERED. You can find more information at my web site, Jeff Cohen Books.